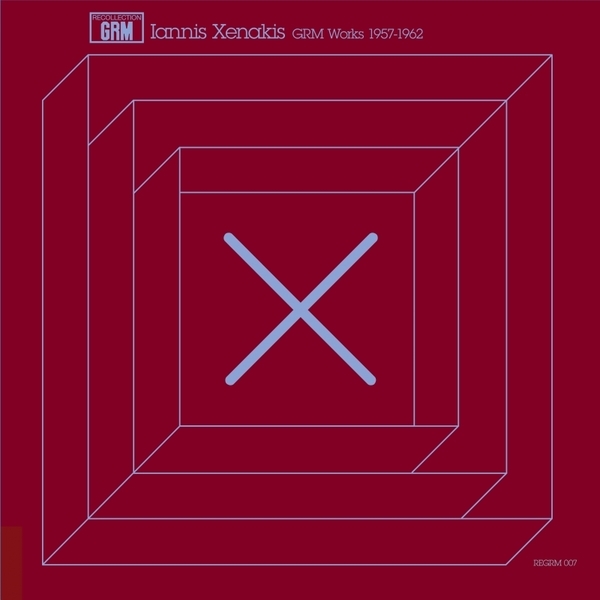 Recollections GRM collect four pieces by one of the 20th century's most important avant-garde musicians and thinkers for one of their most anticipated editions: Iannis Xenakis' 'GRM Works 1957-1962'. Xennakis co-founded the GRM in 1958 (the same year he designed the Philips Pavilion for the Brussels World Fair) and created a peerless body of work uniting studies in mathematics, architecture, engineering and musical theory/composition, pushing the boundaries of new music in the post-war years and pioneering the use of computers in music. His four pieces here are genuinely remarkable works of experimental composition, highly recommended to any followers of advanced electronic music. "Concret PH (1958) Brussels World Fair, 1958 : The industrialist Philips commissioned Le Corbusier's famous "Philips Pavilion": "I'll create an electronic poem for you, he said. Everything will happen inside: sound, light, colour and rhythm." Iannis Xenakis designed the architectural blueprint and composed "Concret PH", meant to psychologically prepare the public to the show created inside, accompanied by a musical piece by Varese. The 400 speakers that lined the inner shell were meant to fill the space through the sound sparkles of "Concret PH" and achieve a joint emanation of architecture and music, conceived as a whole: the roughness of the concrete and its internal friction coefficient found an echo in the timbre of the sparkles; Orient-Occident (1960) - The work was originally composed for a film by Enrico Fulchignoni for UNESCO. The film describes a visit to the museum suggesting to compare artefacts produced by various cultures and highlighting their interaction that dates back to the most ancient times. From an abstract point of view, the composer regards this work as a solution to the problem of finding highly diversified means of transition, meant to link a type of material to another. One indeed witnesses a varied gradation of mutations, interplays, overlaps, cross-fading, sudden shifts and hidden junction points; Diamorphoses (1957-58) - Continuity and discontinuity within evolution, here are two aspects of the being, whether in opposition or in communion. In "Diamorphoses" this antithesis was worked on in the sections of some sounds strongly opposed to others, and particularly in organisations of continuous variations of average or "statistical" heights; Bohor (1962) - Bohor (referring to Bors the Younger, Lancelot's cousin), is a character from the medieval cycle of King Arthur and the Knights of the Round Table. "Bohor" is dedicated to Pierre Schaeffer. The author deliberately abstained from giving and descriptive information on his piece, letting the listener choose an imaginary route for himself. For this release, we have chosen the 1968 version, revised by Iannis Xenakis himself and as yet not made available to the public."